Regency Hyde Park, a modern apartment complex with an upgraded entrance and aesthetic frontage, is a secure building situated in heart of Sydney. This spacious and well-proportioned 100sqm two-bedroom apartment comes with beautiful inclusions and a balcony that overlooks the lush canopy of Hyde Park across to St Mary’s Cathedral and the Harbour. – The master bedroom enjoys a never to be built out view of Hyde Park and features a walk-in robe that leads to a full size marble ensuite with separate shower and bath. 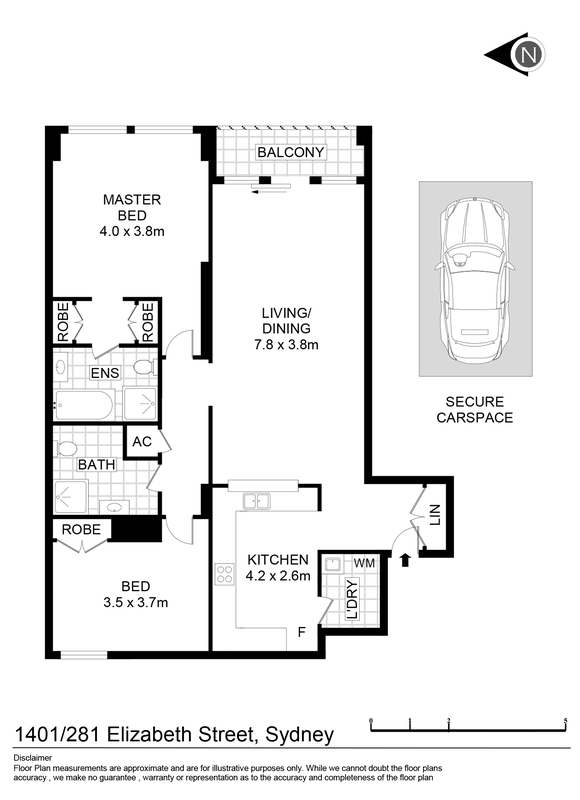 – Both bedrooms come with built in wardrobes. – The oversized kitchen is well cared for and includes quality stainless steel appliances. – 24-hour concierge and on-site manager, resort-style pool, spa, sauna, and gym. This apartment is ready for you to simply move in and enjoy with no immediate spend necessary. On behalf on the team at Boutique Property Agents and the owners of ‘1401 @Regency Hyde Park’ we welcome you to one of our scheduled open homes and look forward to seeing you there.